Pam Golding Properties is recognised locally and internationally as Southern Africa’s leading independent real estate group, with numerous accolades from the International Property Awards and consecutive Superbrand awards since 2005. Offering a full spectrum of property services, Pam Golding Properties boasts a network of more than 300 offices in Africa as well as international offices in the UK, Germany, Mauritius, Seychelles and France. The Pam Golding group forms part of a strategic alliance with one of the world’s largest property groups, Savills PLC, gaining access to its prestigious network of over 500 offices worldwide. Looking for more information? Contact Pam Golding Properties today. 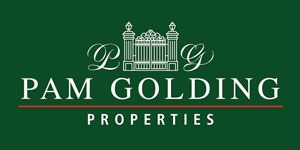 Pam Golding Properties: Pam Golding Properties (wholly owned branch office network) and Pam Golding Franchise services. Pam Golding African Properties: Kenya, Zimbabwe, Namibia, Botswana, Swaziland, Zambia and Mozambique. Pam Golding Group Hospitality Pam Golding Hotels, Pam Golding Lodges and Guesthouses, Pam Golding Tourism and Hospitality Consulting. Pam Golding Property Management Services.